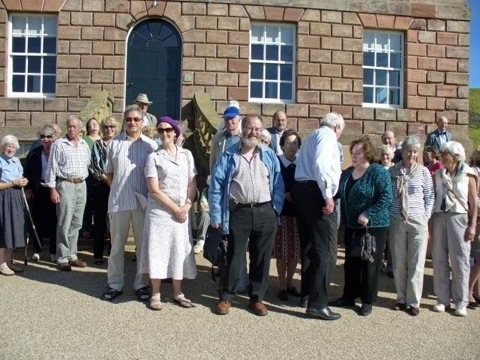 East Lothian antiquarian society had a most successful outing to Eyemouth on Saturday 12th September. They were blessed by a perfect Summer Day. The afternoon began with a visit to the recently restored Gunsgreen house. A brief introduction was made by the president, after which the administrator Derek James outlined the career of John Nisbet, who had links with Dunbar and the history of the house and its restoration, following which members toured the property. The displays which developed the theme of smuggling had special appeal. This was followed by a visit, led by George Menzies, a trustee to the part of the ISCA collection which has been brought to Eyemouth largely on the imitative of Andrew Thornhill and SISCAE (Scottish International Sailing Craft Association, Eyemouth). The collection has been described as the largest collection of boats in the Northern hemisphere (numbering in total approx 400) and is truly fascinating. Members were entertained to tea at the boat shed. Time did not permit a visit to the Eyemouth Maritime centre. Members are urged to make private visits. The next outing will be to Newbattle Abbey on 17th October. The Society hosted a lecture by Professor Bob Morris former Professor of economic and Social history at the university of Edinburgh in Preston Kirk on Friday 18th September entitled Historians and Photographs. The professor gave useful ideas on how to appreciate family and other archive photographs. This entry was posted in Outings on September 12, 2009 by eastlothianantiquarians. 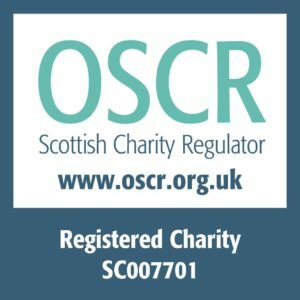 The East Lothian Antiquarian and Field Naturalists’ Society, established in 1924, is membership organisation and a charity. Member events include outings and lectures throughout the year for just £15/annum.